Delicate, colorful and so versatile! 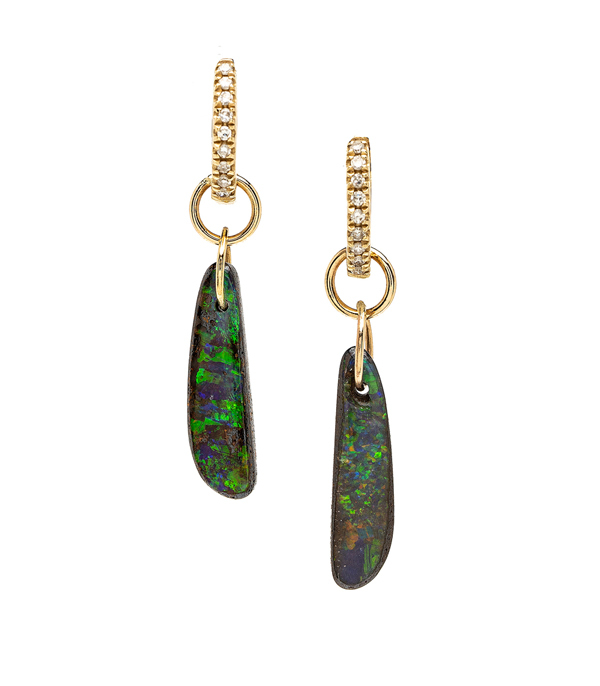 These one-of-a-kind 14K earrings feature dangling Australian boulder opal charms shimmering with rich royal blue and sea-foam green undertones. Hanging from a petite diamond hoop, they add the perfect pop of color and whimsy to any ensemble. Charms are removable for a more simplified look. Categories: Earrings, One of a Kind, The Opal Edit.